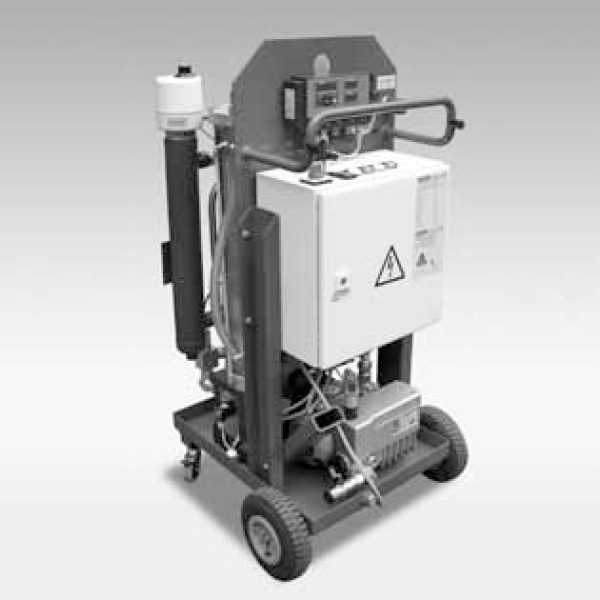 The FluidAqua Mobil FAM 5 serves for dewatering, degassing and filtering hydraulic and lubrication fluids. It operates on the principle of vacuum dewatering to eliminate free and dissolved water as well as free and dissolved gases. By using HYDAC Dimicron filter technology which has a high contamination retention capacity and filtration efficiency, the FAM 5 is extremely cost-effective.